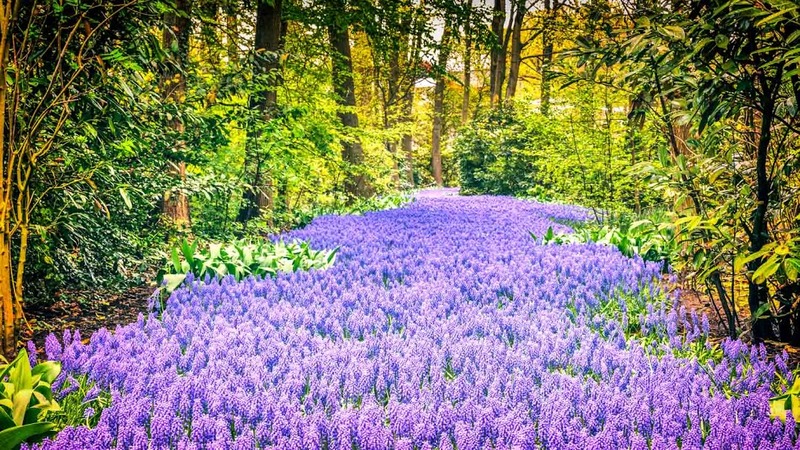 Visit the world's largest spring garden on a tour from central Amsterdam. 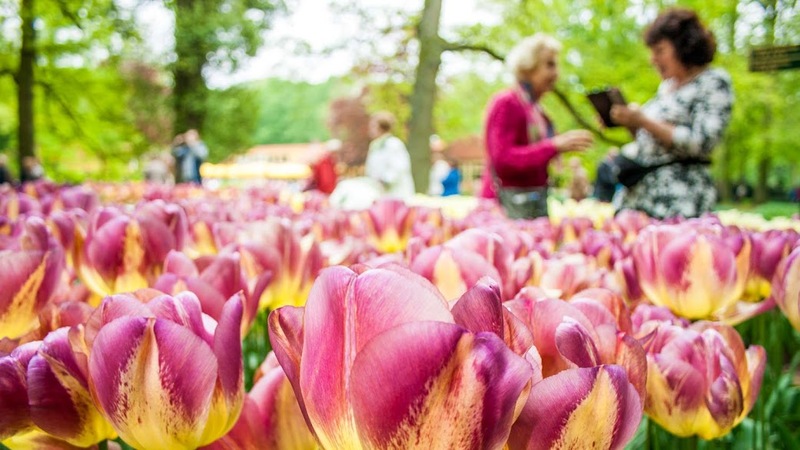 Your ticket provides skip-the-line entry to spectacular Keukenhof Park. 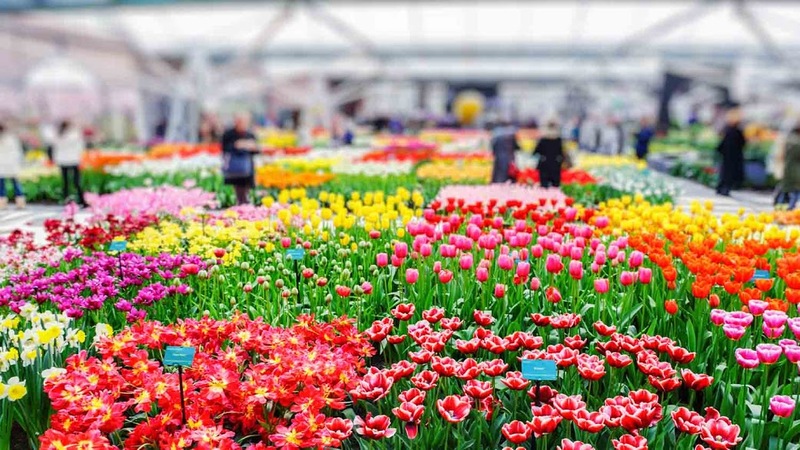 The small town of Lisse, south of Amsterdam and Haarlem, is home to the Keukenhof tulip garden, attracting hundreds of thousands of visitors from the world over each year. Built in 1642, the castle is by far the most prominent building in the village. Unlike the gardens, it's available to visit all year round. Definitely worth a stop! The Juliana Pavilion houses this exhibition that tells of the rise of the tulip in the Netherlands. 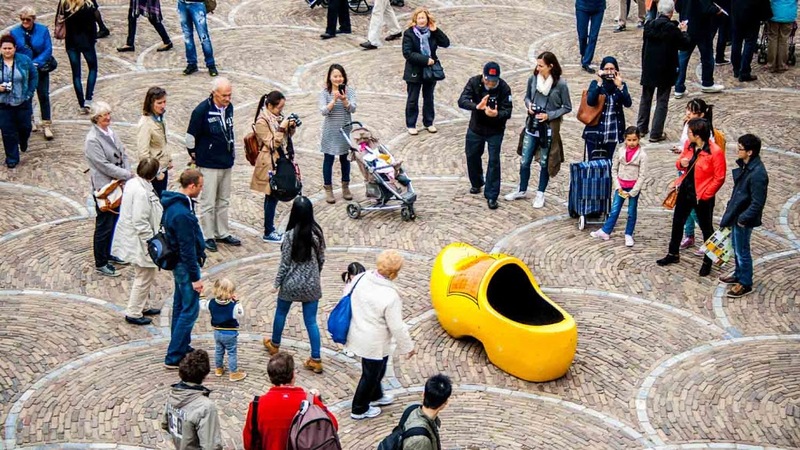 From the Golden Age to the present, discover its economic and cultural impact! Really, it doesn't get more Dutch than this... riding a bike through endless fields of tulips. It's the essential way to experience Keukenhof! The Dutch word for pancakes is "pannenkoeken," a staple of local cuisine. Make it a quintessentially Dutch day and stop by for an afternoon snack at the restaurant! If photos aren't enough, you can also buy colorful bulbs from the local shop. Make sure you check customs regulations of your destination or home country first, though. Keukenhof is only open from March until May, so visiting times are very limited - check in advance for the exact dates, as this changes each year. What times of day is it open? 8:00AM to 7:30PM, although do note that the ticket office closes at 6:00PM. Adult admission is €16, and you may be able to get a special price for groups of more than 20 people. Keukenhof is only open from March 24th to May 16th, 8:00AM to 7:30PM. An adult ticket costs just €16. 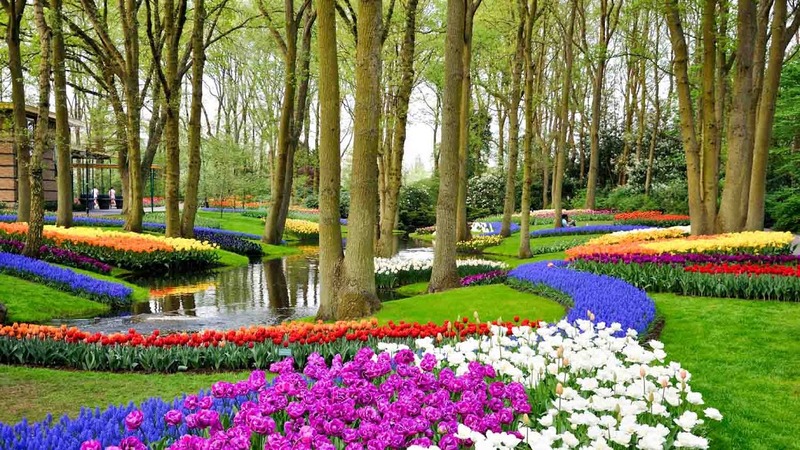 Keukenhof is just a short drive from Amsterdam, off the A4 or A44 motorways. Tours from Amsterdam are also available. Exact March to May dates vary by year, so double check online before you plan your visit! Dogs are allowed, as long as they are on a leash, and free lockers and Wifi are provided! As a man with little interest in flowers, I wondered how I would pass the time between coaches. I was blown away by the beauty of the place and so much to see. The best trip ever! Bus is on time and comfy. Everything was organized very well. Meeting point, bus, trip - everything was clear and on time. Park is magic. We enjoyed this trip a lot.